Top Rated Local® is pleased to announce that Home Oasis Pools & Hot Tubs is an award winner for pool service and repair in 2019. If you are looking for pool service and repair that will have fun while getting it done, look no further than this award-winning company! Home Oasis Pools & Hot Tubs has received many overwhelmingly positive reviews across multiple verified sites with an average rating of 4.90 stars, earning them an impressive Rating Score™ of 89.00 and a 2019 Top Rated Local award for ranking as one of the top five pool service and repairs in South Dakota! “We really enjoy our hot tub, the stress and worries of the day just float into the water. Having a locally owned business right here in town is great. The help and the friendliness of the employees just make this business awesome!” – K.K. It is because of excellent reviews like this that Home Oasis Pools & Hot Tubs is now able to call themselves a Top Rated Local award winner! We were excited to learn all about how Home Oasis Pools & Hot Tubs has been able to build such an impressive reputation, so we sat down with the owner, Lehla. 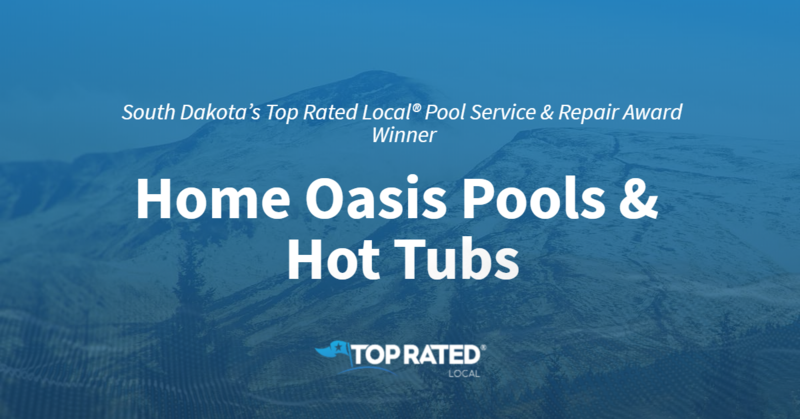 Congratulations to Home Oasis Pools & Hot Tubs for being a 2019 Top Rated Local award winner, and special thanks to Lehla for taking the time to speak with us! 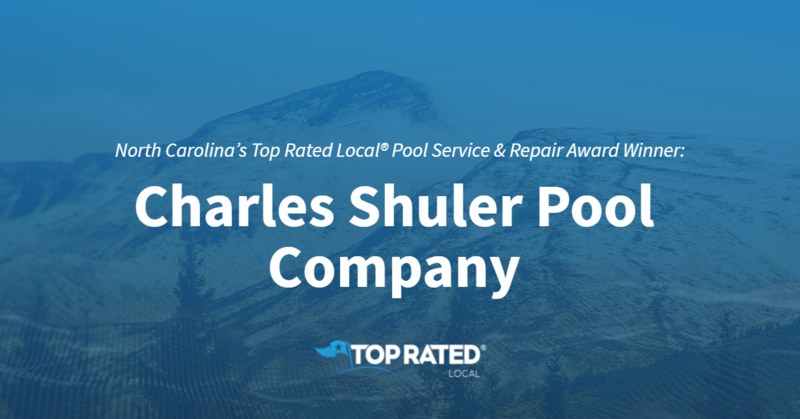 Top Rated Local® is pleased to announce that Charles Shuler Pool Company is a 2019 award winner for pool service and repair companies in North Carolina! From pool maintenance to equipment and hot tubs, the team at Charles Shuler Pool Company is your go-to, full-service pool dealer in Salisbury. Charles Shuler Pool Company has received dozens of reviews on multiple verified sites with an average rating of 4.81 stars, earning them a stellar Rating Score™ of 4.81 and a 2019 Top Rated Local award for ranking among the top 10 pool service and repair companies in all of North Carolina! “[I] love this place! Charles and his crew installed our pool five years ago, and we have been shopping at their store for chemicals for opening and closing our pool ever since. They couldn’t make pool maintenance easier. They test your water sample and give you step-by-step instructions on how to treat your pool to get it back to swimming shape. And when I say step-by-step instructions, I mean [that] they make it super easy! They are friendly and family owned. I like spending my money at a locally owned business and recommend Charles Shuler Pool Co.” – Christy Robbins. Charles Shuler, the owner of Charles Shuler Pool Company, generously gave us a few minutes of his time to tell us about his award-winning business and its next-level online reputation. The first question we had for Charles was what sets Charles Shuler Pool Company apart from their competition in North Carolina. Charles points to the quality of their installations and retail store; they have the best products for the best people. They do not sell people unnecessary stuff that isn’t needed; instead, they focus on being genuine to the customer and treating them like family. We also wanted to know what their mission is at Charles Shuler Pool Company and how they work to make the world a better place. Charles told us that they’ve set out to build a high-quality pool and a great service at a decent price. Charles attributes Charles Shuler Pool Company’s strong online reputation to the fact that they are a close-knit, family-owned business that takes care of customers and gets the job done right the first time. Customers appreciate the timely manner of their work, and the team at Charles Shuler Pool Company is always open to learning new techniques and is willing to change to make the customer happy. Outside of building a powerful online reputation, word of mouth from happy customers is the name of the game for growth at Charles Shuler Pool Company. Congratulations to the team at Charles Shuler Pool Company for being a 2019 Top Rated Local award winner, and thank you so much, Charles, for taking the time to speak with us! We highly recommend Charles Shuler Pool Company in Salisbury. Visit their website today! 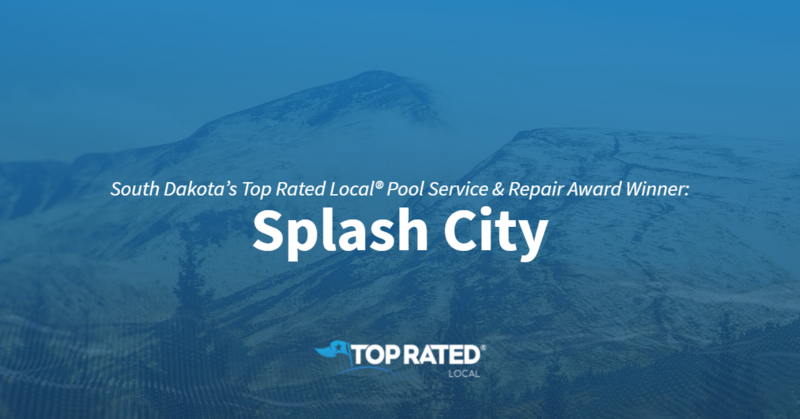 Top Rated Local® is pleased to announce that Splash City is a 2019 award winner for pool service and repair companies in South Dakota! Revolutionize your summer by turning to Splash City for professional pool installation in Rapid City. Splash City has received dozens of reviews on multiple verified sites with an average rating of 4.97 stars, earning them an outstanding Rating Score™ of 93.66 and a 2019 Top Rated Local award for ranking among the top 10 pool service and repair companies in all of South Dakota! “Ben and staff are nice and easy to work with. I feel comfortable when I walk in there. Some of the other shops I have experienced are kinda like cars salesman everywhere, [which is] not a comfortable feeling sometimes. [They have] all of the pool and spas supplies you need on-site, and they will happily test your water for you and help you see what needs to be done for FREE. Oh, and [they have] lots of awesome billiards, decor, lighting and other stuff that my wife and I would love.” – Brad T.
Ben Morganfield, the owner of Splash City, generously gave us a few minutes of his time to tell us about his award-winning business and its impressive online reputation. The first question we had for Ben was what is it that sets Splash City apart from their competition in South Dakota. Ben told us that they are the largest and most experienced business of their kind in South Dakota, and that they offer the most products. We also wanted to know what their mission is at Splash City and how they work to make the world a better place. Ben shared with us that their mission is to make their community better by providing great service. He went on to tell us that they donate to different Shriner programs, and that they work with CMM, Make a Wish and local schools. Ben attributes Splash City’s strong online reputation to their commitment to asking for reviews. Outside of building a powerful online reputation, Splash City has gotten their name out there through television, radio and print ads, direct mailers and signage. Congratulations to the team at Splash City for being a 2019 Top Rated Local award winner, and thank you so much, Ben, for taking the time to speak with us! We highly recommend Splash City in Rapid City. Visit their website today! 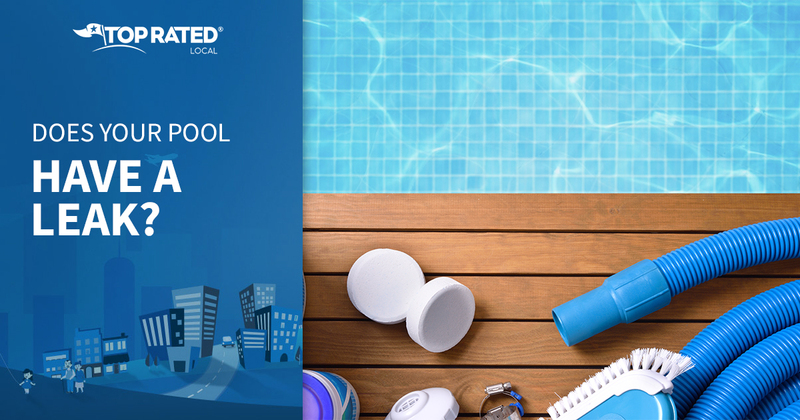 Top Rated Local® is pleased to announce that Pool Specialists is a 2019 award winner for pool service and repair companies in North Carolina! If you’re looking for a company that can keep your pool in the best possible shape, look no further than Pool Specialists in Raleigh. Pool Specialists has received dozens of reviews on multiple verified sites with an average rating of 4.66 stars, earning them a tremendous Rating Score™ of 90.62 and a 2019 Top Rated Local award for ranking among the top 10 pool service and repair companies in North Carolina! “Pool Specialists came and fixed what other well-known Raleigh pool companies could not. I have used three companies in the past five years, and Pool Specialists was the most professional, timely, polite and cost-effective. I will only use them now.” – Susanna Q.
Craig, the President and owner of Pool Specialists, generously gave us a few minutes of his time to tell us about his award-winning business and its spectacular online reputation. The first question we had for Craig was what sets Pool Specialists apart from their competition in North Carolina. He told us that they run as a professional company, and that he grew up in the large, corporate world. That is where he got a lot of his business experience, which is unique from a lot of other pool companies that come strictly from a pool cleaning background. Craig also told us that the top-rate employees at Pool Specialists are well-paid and have full benefits, including healthcare. As a company, they offer full-time, year-round jobs that allow their employees to benefit from continued employment. They have been in business for 15 years. Craig attributes Pool Specialists’ strong online reputation to their commitment to customer service — which, according to Craig, leads to good reviews — and to their awesome administrator, who answers the phone, does the scheduling and assists customers. Outside of building a powerful online reputation, Pool Specialists has gotten their name out there through Facebook, their website and Yelp and Google advertisements; however, word of mouth is their biggest source of growth. Congratulations to the team at Pool Specialists for being a 2019 Top Rated Local award winner, and thank you so much, Craig, for taking the time to speak with us! We highly recommend Pool Specialists in Raleigh. Visit their website today! 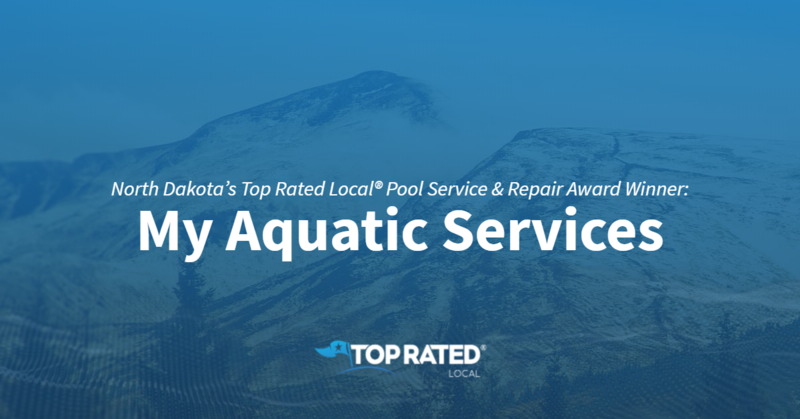 Top Rated Local® is pleased to announce that My Aquatic Services is the number one pool service and repair company in North Dakota for 2019! For all of your pool service and repair needs in Moorhead, there’s no better company to turn to than My Aquatic Services. My Aquatic Services has received dozens of reviews on three verified sites with an average rating of 4.93 stars, earning them a phenomenal Rating Score™ of 95.32 and a 2019 Top Rated Local award for being ranked the number one pool service and repair company in all of North Dakota! “I had researched a few different companies to come in and fix the issues we had in our commercial hotel pool. No other companies in town were as responsive or as hands-on with our operation… Dan and his entire team have been extremely helpful and have gone more than above and beyond to ensure the end result was delivered on time and as initially described. Dan even went as far as to bring us a pool motor he was describing to show us how it worked, at no charge, as I was struggling to initially understand. I would recommend this company to anyone, and they will, without a doubt, be my go-to for anything pool related.” – Anthony S.
In order to learn a little more about My Aquatic Services and its award-winning online reputation, we took a few minutes to talk with the General Manager, Dan Dumas. Dan attributes My Aquatic Services’ strong online reputation to their commitment to treating people how they would want to be treated and told us that they strive for a 100-percent success rate. Outside of building a powerful online reputation, word of mouth has been the name of the game for growth at My Aquatic Services; however, they’ve also done television advertising, radio advertising and print advertising in the newspaper. Congratulations to the team at My Aquatic Services for being a 2019 Top Rated Local award winner, and thank you so much, Dan, for taking the time to speak with us! We highly recommend My Aquatic Services in Moorhead. Visit their website today to learn more! Top Rated Local® is pleased to announce that Leisure World is an award winner for pool service & repair in 2019. For all of your pool and hot tub needs, look no further than this award-winning company! 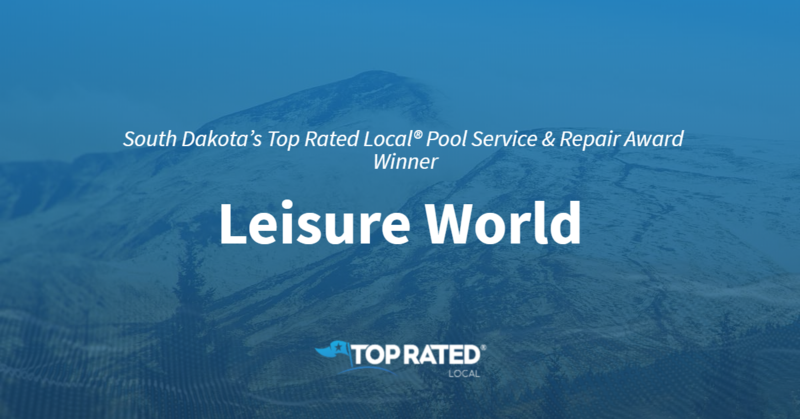 Leisure World has received many overwhelmingly positive reviews across multiple verified sites with an average rating of 4.94 stars, earning them an impressive Rating Score™ of 85.38 and a 2019 Top Rated Local award for ranking as one of the top 10 pool service & repair companies in South Dakota! “Leisure World is the BEST! We have had exceptional customer service with Leisure World! [They] delivered our hot tub and answered all of our many questions! They stand behind their warranty, which we greatly appreciated! We get our chemicals from the Norfolk store, and [they are] always very helpful, and again, answered all [of] our questions! Thank you guys for all you do; we LOVE our hot tub!” – M.K. It is because of excellent reviews like this that Leisure World is now able to call themselves a Top Rated Local award winner! We were excited to learn all about how Leisure World has been able to build such an impressive reputation, so we sat down with the owner, Terry Halvorson. The first thing we wanted to know was what it is that makes Leisure World stand apart from their local competitors. Terry cites experience and expertise as what gives Leisure World a competitive advantage. They have been in business for 38 years, and Terry is a second-generation owner. Congratulations to Leisure World for being a 2019 Top Rated Local award winner, and special thanks to Terry for taking the time to speak with us! 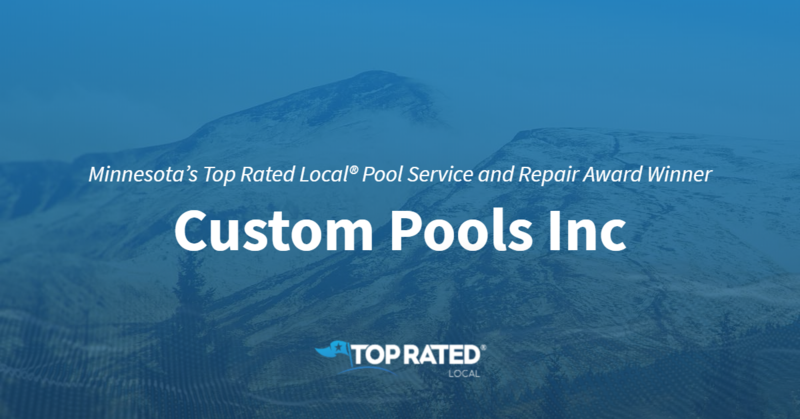 Top Rated Local® is pleased to announce that Custom Pools Inc. is a 2019 award winner! “[I] was having a problem with mustard algae [and] treated my pool with yellow klear twice, [but] still was getting some algae sediment on the bottom. I thought maybe it was just too fine of particles for my filter. [I] went into Custom Pools with a water sample and described what was happening. They recommended I try another kind of algae treatment… [I] treated my pool last night, woke up this morning to a clear pool. Thank you so much for helping to get rid of what could have been a tough problem to get rid of.” -Lisa Y.
Ginny Mulvaney co-owns Custom Pools Inc. with her brother and sister Kevin Mulvaney and Jan Blount. We got a chance to speak with her about the business’ impeccable online reputation. The Custom Pools secret to success is their long-standing reputation. “We have been in business since 1967. Our reputation in the community is outstanding. It’s all about quality of service and doing what you say you will do,” Ginny said. Congratulations to the team at Custom Pools Inc. for being a 2019 Top Rated Local award winner, and thank you so much, Ginny, for taking the time to speak with us! Top Rated Local® is pleased to announce that Heritage Pools, LLC is an award winner for pool service & repair in 2019. For a full-service pool company in North Charleston, South Carolina, reach out to this family-owned business today! Heritage Pools, LLC has received many overwhelmingly positive reviews across six different verified sites with an average rating of 4.80 stars, earning them an impressive Rating Score™ of 99.02 and two 2019 Top Rated Local award for ranking as one of the top 50 businesses and as the number one pool service & repair company in South Carolina! “This company excels in every aspect. They will make sure you are 100-percent satisfied with your entire experience. Their employees are punctual and respectful. Always professional. As long as everyone does what they say they will do I will continue to recommend them.” – P.W. It is because of excellent reviews like this that Heritage Pools, LLC is now able to call themselves a Top Rated Local award winner! They are also a completely full-service company. At Heritage Pools, LLC, they will build, renovate, repair, service equipment, and maintain pools. Heritage Pools, LLC has built a strong reputation online but in addition to working on marketing their business through their online presence, it has also been important for Heritage Pools to work in their local community. They participate in many local charities and are a proud sponsor of the Ronald McDonald House and Camp Happy Days. Congratulations to Heritage Pools LLC for being a 2019 Top Rated Local award winner, and special thanks to Kathleen for taking the time to speak with us! 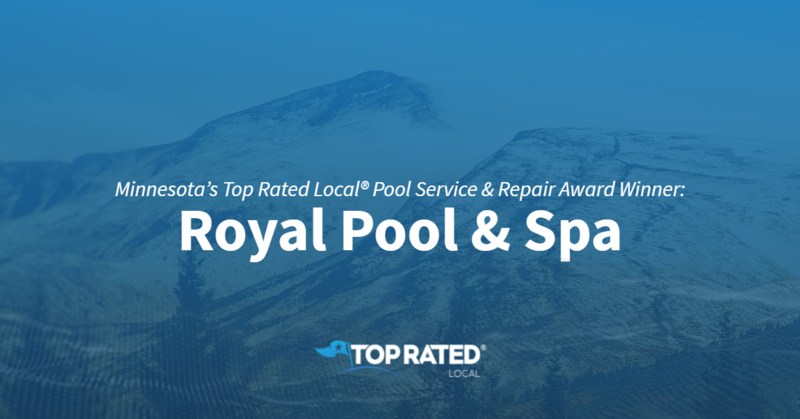 Top Rated Local® is pleased to announce that Royal Pool & Spa is a 2019 award winner for pool and spa services in Minnesota! No other company is better equipped to handle your pool care needs in White Bear Lake than Royal Pool & Spa. Royal Pool & Spa has received dozens of reviews with an average rating of 4.67 stars, earning them a wonderful Rating Score™ of 87.14 and a 2019 Top Rated Local award for ranking among the top 10 pool service and repair companies in all of Minnesota! “This is the most professional team I have met. They made me feel fantastic about my decision to go with them! I will continue to recommend them to my friends and family. Sometimes, it’s hard to see the passion in others when it comes to their work, but not in this case!! Thank you very much!” – Becki R.
Kim Hite, the General Manager at Royal Pool & Spa, took a few minutes to tell us about this one-of-a-kind business and its impressive online reputation. The first thing we wanted to know was what sets Royal Pool & Spa apart from the many other pool service companies in Minnesota. Kim told us that they are small but 100-percent committed to every customer. They don’t provide their customers with cookie-cutter answers, and they always work hard to find the most affordable solution. Kim went on to tell us that she and her family have run Royal Pool & Spa since 2015, and that their customers are always their number one focus in everything they do. Kim credits Royal Pool & Spa’s strong online reputation to their commitment to their customers, and told us that they always make it a point to serve their customers to the best of their ability. Outside of building a powerful online reputation, Royal Pool & Spa has gotten their name out there by sending out flyers, as well as through Facebook and word of mouth. Congratulations to the team at Royal Pool & Spa for being a 2019 Top Rated Local award winner, and thank you so much, Kim, for taking the time to speak with us! For all of your pool care needs in White Bear Lake, we highly recommend Royal Pool & Spa. Visit their website today!